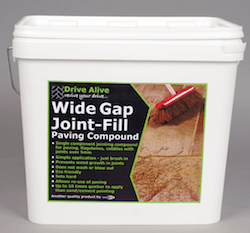 A single component joint filling system for the simple and rapid pointing of paved areas with joints over 5mm. Ready-to-use, simple brush application. A unique blend of polymers and aggregates that bind together chemically. On exposure to the atmosphere Joint-Fill forms a stable, solid, mass that is unaffected by the weather once cured. Remains permeable and allows rain water to pass into water course reducing puddling. Eliminates the need for sand/cement pointing! For pointing paving joints 5mm+. Suitable for domestic and commercial installations of paving, inside and out. 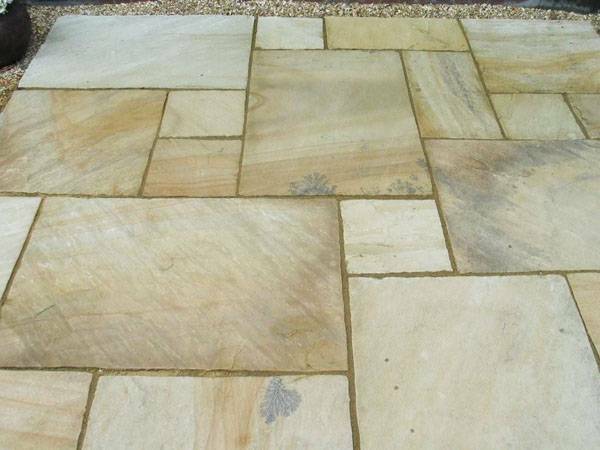 Also compatible with most types of paving including natural stone, Indian sandstone terracotta, clay, concrete and cobble stones. It is cost-effective, eco-friendly and safe to use. Suitable installations: patios, piazzas, shopping centres, car parks, pathways, etc. Not suitable for “V” shaped joints. Simply brush the contents into the joints and leave to set. We have tested many different paving grouts and this one is the best.